Our spa takes every precaution, including using an autoclave, to ensure proper sanitation. All implements are sterilized to hospital grade. OPI colors now available at the spa along with our APF Signature polish. *Services are done by certified and licensed Nail Technicians. All prices are subject to change without notice. Stimulate your senses with a champagne scented foot soak and warm scrub applied to the feet and calves. Warm towels are applied topped off with hydrating champagne shea butter. The wonderful soft scent of Lavender and the rich creamy shea butter is the ultimate hydrating treatment for feet. Warm soothing stones are massaged with the lavender butter to relax and lock in hydration. A wonderful relaxing pedicure. A delightful tropical scent of mango butter is used throughout the pedicure to hydrate the skin and feet. A great treat for your feet for spring & summer. A Rasmopolitan vodka body polish sloughs away dead skin for a vibrant glow as you enjoy the essence of fresh raspberries with Square One organic vodka, rice bran oil and vitamin E. Fresh Melon Butter to leave your skin with a dewy softness. Similar to our spa pedicure, however each nail is polished with white tips and a clear top coat. A very natural look that is especially nice for weddings. Add a paraffin treatment for that special touch. Our Pedicures consist of a luxurious pedicure spa chair with a whirlpool built in. A new file is used and gloves are worn throughout the treatment for sanitation purposes. Filing and trimming the nails, cuticles, and dry area on toes and heels. A salt scrub is gently massaged all over the foot and calve area to exfoliate. Then a moisturizing massage followed by hot towels and then polished. OPI, the leader in nail color innovation, introduces Infinite Shine Effects Lacquer System. Discover the new CND VINYLUX manicure weekly polish system. No base, self-adhering color coat allows for a faster service, while the top coat increases durability with exposure to natural light for up to 7 days of flawless color. Light filing and shaping of the nails is combined with cuticle treatments help to "CURE" cracked, unattended cuticles. This extraordinary treatment is then finished with a relaxing hand and arm massage. Custom tailored for both men and women. We are now offering the newest and latest "Shellac". Shellac is the breakthrough, UV3 technology that combines the ease of polish with the permanence of gels. A true innovation in chip-free, extended-wear color. Shellac is UV cured, so there's zero dry-time. It's thin and flexible like polish, so it not only looks natural -- it provides strong natural nail protection. The Results? 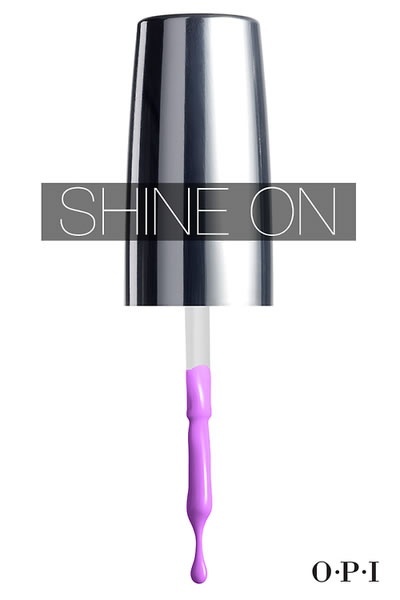 14 day, glorious, high gloss shine that's truly addictive! Now also offering OPI Gel Color! It wears like a gel and lasts longer than any gel. Chip resistant and very high gloss finish with a great selection of colors to select from. OPI colors now available at the spa along with our APF Signature polish. Similar to our spa manicure, however each nail is polished with white tips and a clear top coat. A very natural look that is especially nice for weddings. Add a paraffin treatment for that special touch. Gentle filing and shaping of the nails with a 4-way file. Hands are soaked in warm water, pushing back cuticles and trimming if requested. Paraffin treatment, a wonderful hand and arm massage, then an application of hot towels, and polish application. Our Pedicures consist of a luxurious pedicure spa chair with a whirlpool built in. A new file is used and gloves are worn throughout the treatment for sanitation purposes. Filing and trimming the nails, cuticles, and dry area on toes and heels. A salt scrub is gently massaged all over the foot and calve area to exfoliate, a paraffin treatment, finished with a moisturizing massage followed by hot towels and then polished.